Can you believe tomorrow is the LAST day in January? Thanks for all your sweet comments and remarks regarding my sun room! I have had so much fun with it and can't wait to add the final touches over the next few months! As I mentioned in my post, an Ikea coffee table makeover will be in the works this spring and that has me all excited with thoughts of coffee table styling! Here are some photos that are really inspiring me! 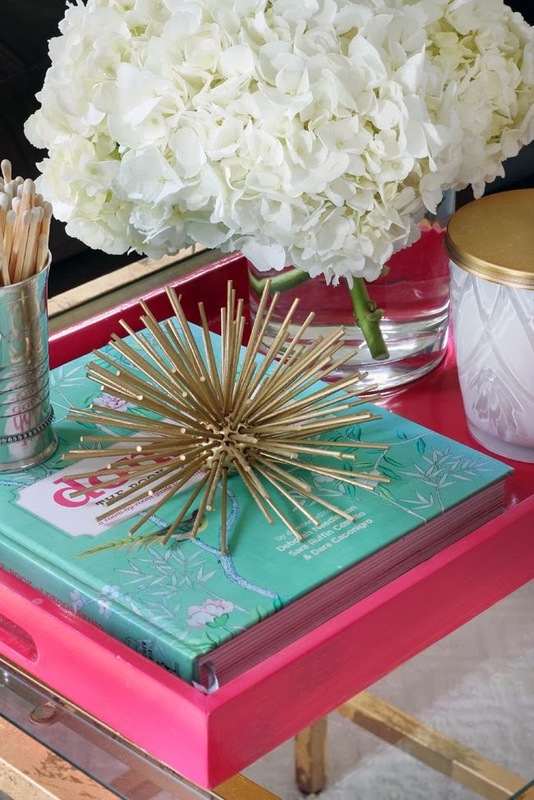 Start with a tray- add a book (or three), some flowers, and a few fun accessories! 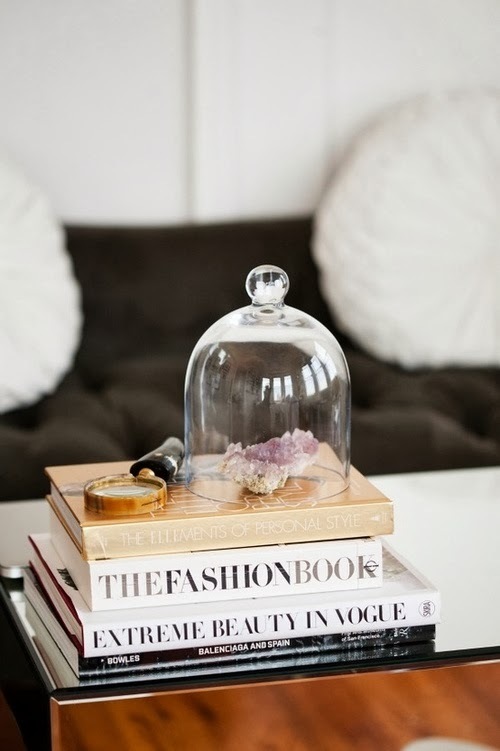 I love the look of the mineral under the glass cloche! 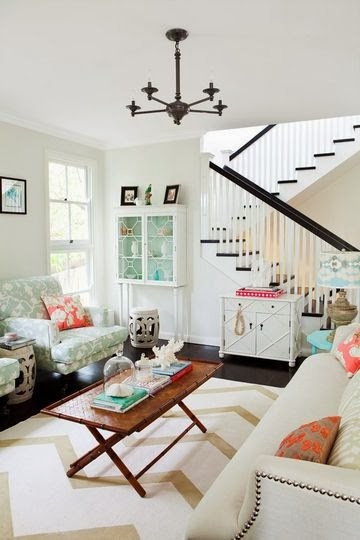 We have lots of books, so I am loving this look! This table has a glass cloche too! I also like the coral on the table! Have y'all noticed that almost every table I've featured has one of those brass urchins!? Looks like I might need to order one! Not much styling yet. I honestly haven't been too inspired to style this table when I know I am going to totally change it up in a few months. I will say, though, that my copies of Essentially Lilly and The Perfectly Imperfect Home (both gifts from B) will most definitely find a spot on the new table! And remember, this is the end goal (minus the nesting square bit)! 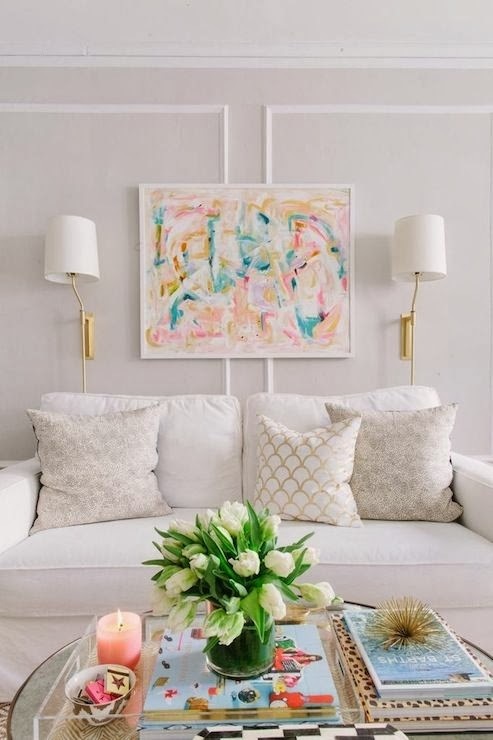 Just a few reasons I am smitten with this look: it has a bottom shelf for styling in addition to the tabletop, the sleeker design will enable a better view of my elephant garden stool in the space, and HELLO...it's gold! 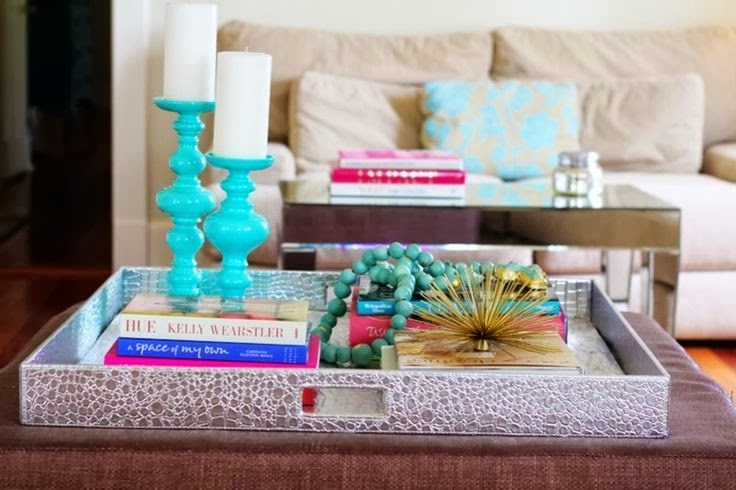 How is your coffee table styled? Any coffee table books I must check out? 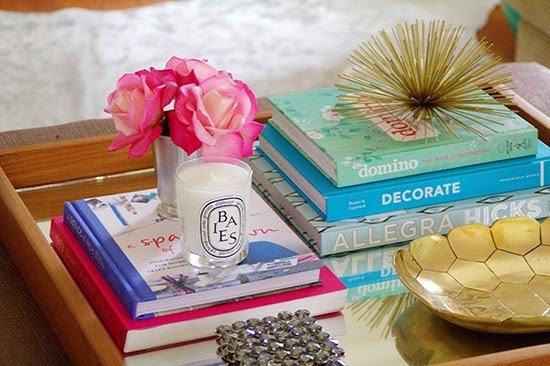 I love when coffee tables are stacked with lots of books! I cannot wait to see the final product. One can never go wrong with gold. i love a good coffee table book...there are so many! I love your ideas! I think a cute patterned tray would really pop on the table. we have a brass urchin from Shop Waiting on Martha on our table..love it! such a great touch. We have the same books on our coffee table! I love these coffee table pictures, I feel like I'm never satisfied with how ours looks...a new coffee table is on my "to buy" list! 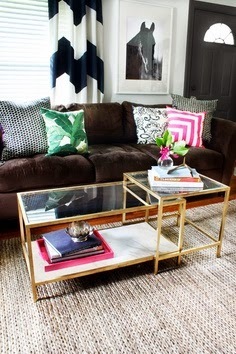 I love this coffee table inspiration! Mine is a work in progress. I LOVE coffee table books. I have two coffee tables in my living room right now with a straw tray and a few trinkets but I think that coffee table books are great for a big table, and a maybe a big piece of coral? I love all the ones you picked out! I have kept mine super clean right now with just a silver tray. I would love to add some coffee table books and flowers.